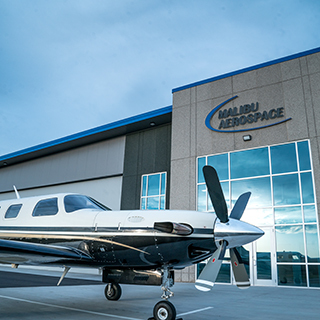 At Malibu Aerospace, we specialize in crafting and installing several popular FAA approved modifications for the PA-46 fleet. 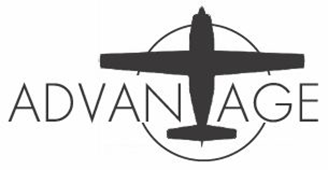 Our upgrades are engineered to improve the safety, performance, and efficiency of your Piper aircraft. We serve the aircraft industry by developing new technology and products that improve aircraft usability. From our M-5 Engine Modification to the Tail Ice Light, we set the standard for engineering extraordinary Piper products that withstand the test of time. 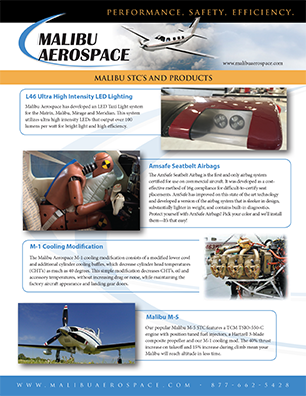 Our products are designed to efficiently retrofit your aircraft, maximizing cost-effectiveness and minimizing time.